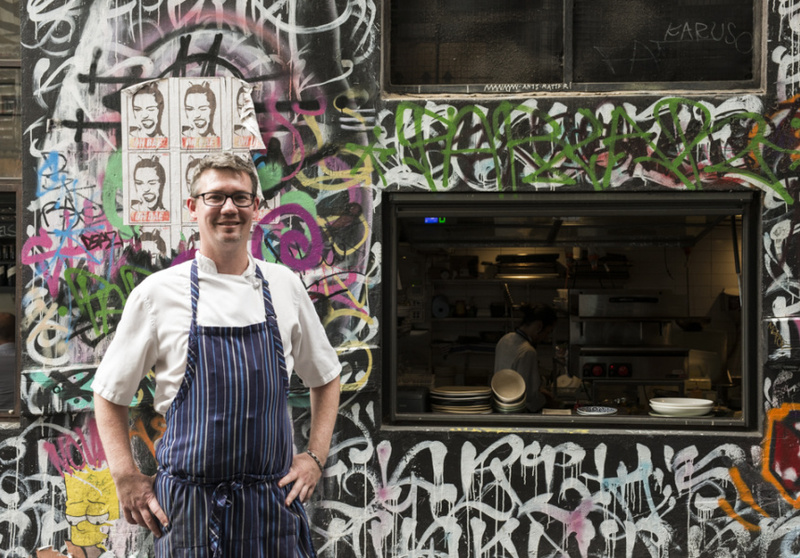 MoVida Next Door, the younger sister of MoVida (and older sibling of Aqui and Paco's Tacos), is exactly what's good about eating out in Melbourne. 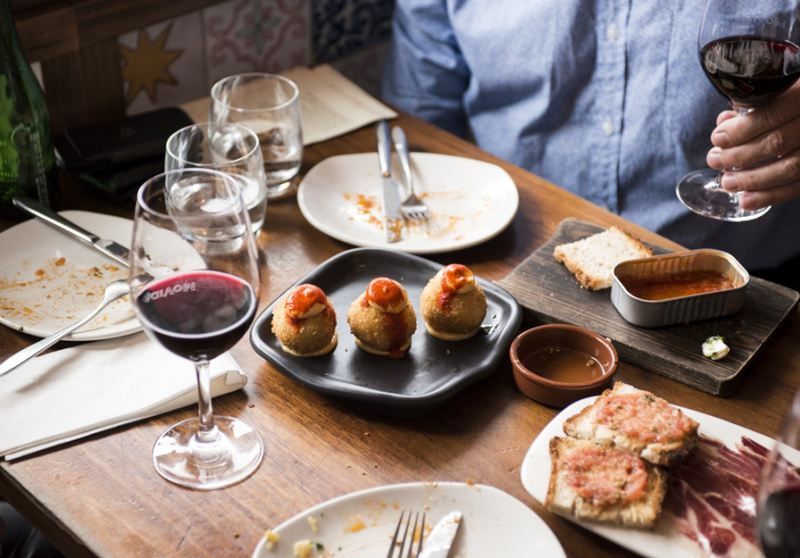 Its aim is to deliver an authentic tapas experience: sit at the bar, have a drink (Spanish beer, wine and sherry) and slowly make your way through owner Frank Camorra’s excellent tapas and racion menu – all without the three-month waiting list and somewhat hefty price tag of its older brother. Accordingly, it draws a wider crowd including students, tourists and theatre goers. But they all have one thing in common: a tendency to linger over drinks. Thanks to this and the no bookings policy, securing a seat at this charismatic corner spot is likely to remain an exercise in patience and good timing. 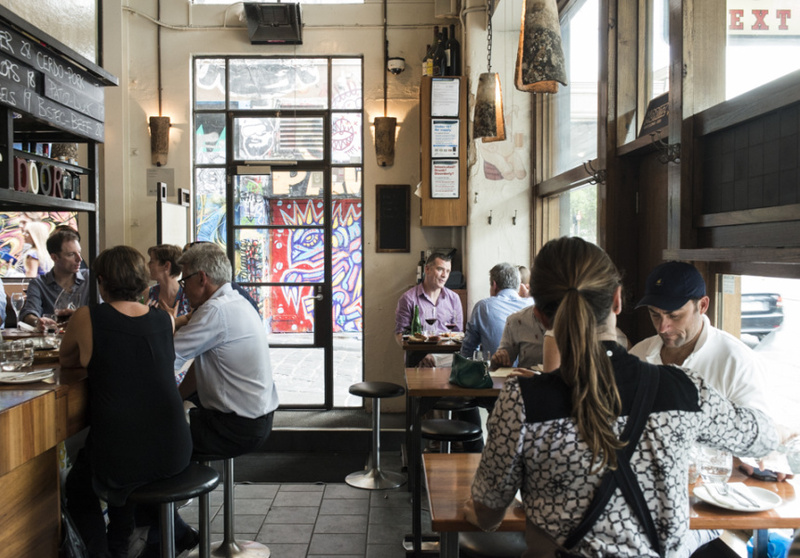 We suspect Misty Bar further up Hosier Lane has happily benefited in its role as MoVida’s waiting room. MoVida is now hiring. Find out more on Scout, Broadsheet's new employment website.